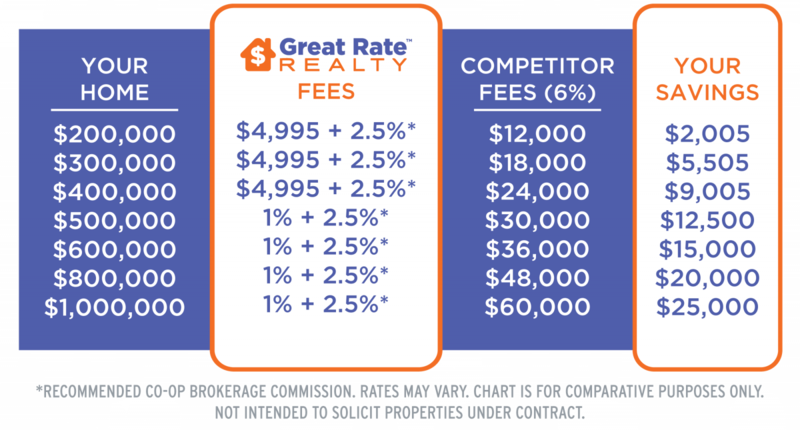 * Great Rate Realty listing side commission only. Why pay more for the same Full Services? and more - the works! Use our Home Value Slider to see how much money you will save when you hire one of our full service agents! 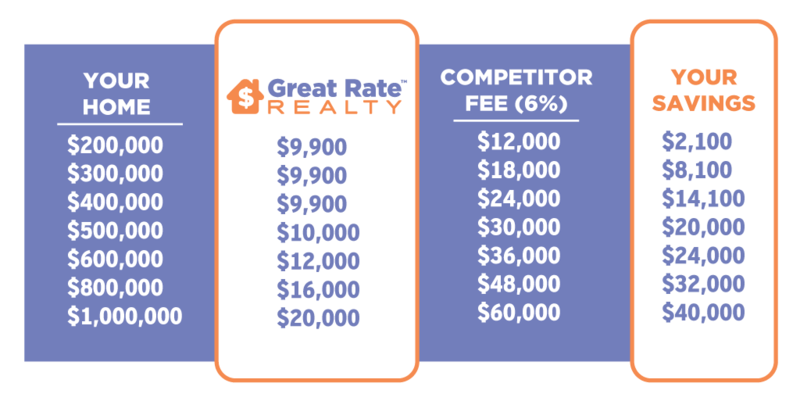 You'll Save $ when you sell with GREAT RATE REALTY compared to another agent charging in fees at 6% Not all agents charge the same.